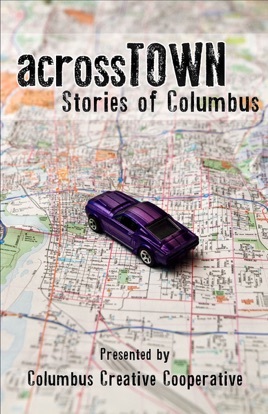 Across Town presents twelve fantastic short stories, all written by Central Ohio authors. Each fictional tale is set in Columbus, Ohio. These creative, engaging stories, ranging from romantic comedy to adventure to science fiction, will satisfy readers of all types. The work of Central Ohio authors like Amy S. Dalrymple, John P. Deever, Gabrielle Gold, William J. Hallal, Justin N. Hanson, Brenda Layman, David Meeks, Todd Metcalf, Andrew Miller, Daniel O'Riordan, Brad Pauquette and Cynthia Rosi will lead you on an unforgettable journey among real Central Ohio landmarks and places like The Ohio State University, Northstar Cafe, Via Vecchia Winery and the famous topiary gardens. The bizarre, witty, intriguing stories of Across Town are a unique collection that you won't soon forget.